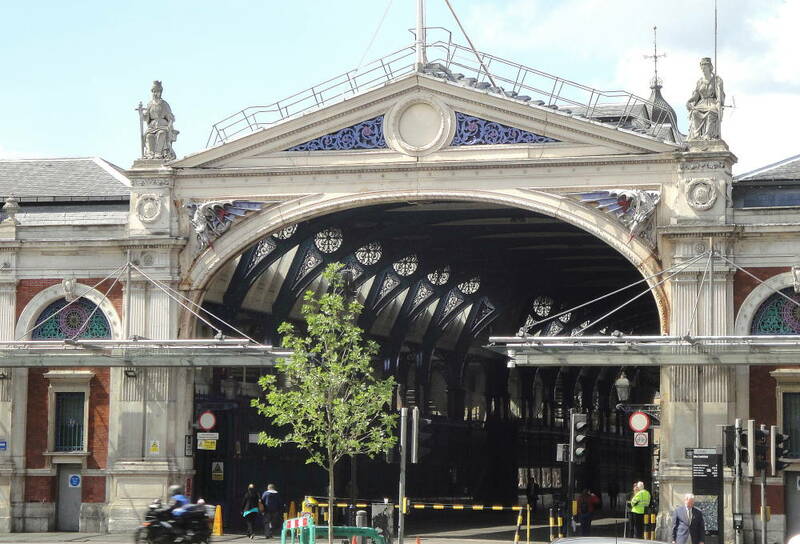 May’s event is one for Early Birds, insomniacs and carnivores (but of course vegetarians are also welcome) as we shall be having a guided tour of one of London’s oldest markets, Smithfield in the City of London. This will be led by a City of London guide who will meet us at the street level entrance to Barbican Underground Station ready for a prompt start at 6.30am. We will explore some of the small streets and hidden alleyways around the Market in order to put it into its historical context. We will then walk through the entire Market from Barbican to Farringdon Street, including the derelict part destined to become the new home for the Museum of London. As Smithfield is a night market there are often bargains to be had at the end of the night’s trading. Consequently, it’s a good idea to bring a strong (cool) bag for any purchases you might like to make. It is also worthwhile wearing comfortable shoes preferably with a non-slip sole. After the tour is finished we should have worked up a healthy appetite to enable us to enjoy a hearty breakfast at Smiths of Smithfield. The breakfast menu at Smiths is currently being updated and I will forward details nearer the date. This should be a fascinating event which is well worth the early start. The cost of the Tour is £12.50 for members and £13.00 for guests. Please complete the booking form and return it by 8 May.